"If you want to understand how to give your messages persuasive impact, this book gives you the right tools at the right time. Persuasion = profit, and this book is your guide." "I love this book Dave has broken down the psychology and subtleties of subliminal persuasion and made them profitably accessible, so you can leverage it in your own sales and marketing efforts." "Dave Lakhani reveals secrets that are making ad agencies salivate. These tactics should only be studied by those who aren′t intellectually squeamish or intimidated by being brutally effective." "Dave Lakhani has written the first original work on subliminal persuasion that I have seen in years. Part of me wishes he wouldn′t share this information with the rest of the world, so I would be the only one with access to it!" "Dave teaches you the fine art of consumer seduction and subliminal persuasion in a way that will change how you approach sales and marketing forever. If you want results read this book!" 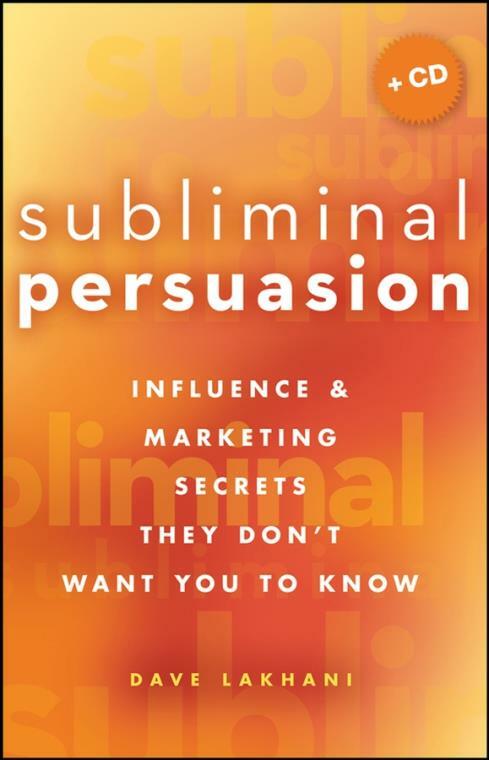 "The psychological techniques of subliminal persuasion Dave Lakhani reveals in this book are sure to move people to action without them even knowing they′ve been influenced. These persuasion tools are amazingly powerful and easy for anyone to use." Chapter 1. Creating Message Contagion . Chapter 2. Leverage Applied Propaganda . Chapter 3. Position and Package Your Legend. Chapter 4. Control the Emotion and the Content. Chapter 5. Get a Real Endorsement. Chapter 6. Understand Beliefs and True Believers. Chapter 7. Harness the Power of The People′s Media. Chapter 8. Deliver the Experience. Chapter 9. The Subliminal Power of Words. Chapter 10. Creating a Cult Following. Appendix 1 Coaching for Influence Dr. Rachna Jain.